Earn while you save with a Money Market. With a Money Market account from Ascend, you get a higher interest rate and easy access to your money. It's a great way to save for big goals and the perfect place to park your emergency fund. Ascend money market accounts are tiered to earn a higher Annual Percentage Yield (APY) when your balance reaches certain amounts. Make up to six free withdrawals per month. Additional withdrawals are only $10 per transaction. Click here for complete rate and fee addendum. Money market accounts are variable rate accounts and the rates may change. The Annual Percentage Yields (APYs) stated are accurate as of March 1, 2019. The minimum opening deposit is $2,500. These accounts are limited to six withdrawals per month, then a $10 service fee is charged for each withdrawal in excess of six. For more information regarding fees see the Fee Addendum. How much could I earn with a money market account? Earn even more with a certificate account. Looking for an even higher interest rate and don't need access to your money right away? A certificate account might be right for you. What is a Money Market account used for? 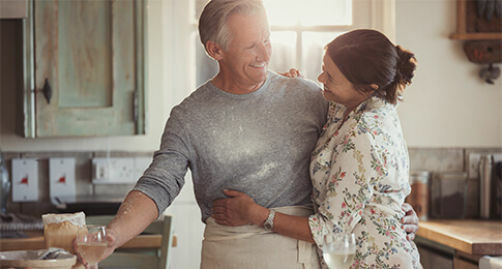 A Money Market account is a great place to park emergency or vacation funds, save for starting a new family, supplement retirement savings, or save for major purchases. There are three different ways to open an Ascend money market account. Click below to open your Ascend money market account. To open a money market account by phone, call 800-342-3086.